"Haye needs, as he says himself in his first Betfair column, an explosive victory. I expect him to deliver that and [1.93] for him to win inside the distance in the Method of Victory market looks like the best bet for the night." I've got a couple of footballer friends who have suffered a snapped Achilles. They both describe it as the worst injury imaginable. The pain is unbearable, for a start. And then it happens so suddenly, they look around to see who kicked them, but most times there is nobody there. The recovery process is then long, and hard, and always with the nagging fear you might never play again. So I have to say that David Haye's reaction when his Achilles tendon tore during his fight with Tony Bellew a year ago still fills me with admiration. 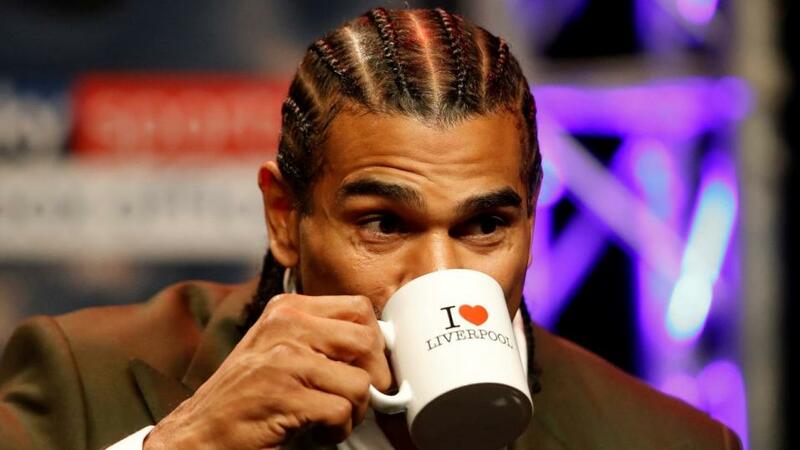 I'm probably not meant to say this now he's come on board as a Betfair Ambassador, but I've never been Haye's biggest fan. I didn't like some of the extreme trash talk he indulged in when he was trying to lure Wladimir Klitschko into the ring, and I've been puzzled by his assorted comebacks since. What was that ugly Dereck Chisora feud all about? But that night in the O2 Arena changed my thinking. Haye was winning the fight after five rounds when he ruptured his Achilles, and somehow fought on. He even won the ninth round, and it was only in the 11th as his ankle refused to hold his body weight and he fell through the ropes that he was finally forced to call it a day. Even then Shane McGuigan threw in the towel for him. Haye himself was trying to fight on, a bit like the Black Knight in Monty Python: "Nay, tis but a scratch sir." It was a magnificent example of courage in the ring at its finest, and now he's got a rematch with Bellew it's been interesting to watch his approach. Very calm, no insults in the press conference this week, no rising to the bait. Haye is [1.51] favourite in the Match Odds, and seems to have realised himself that staying away from the hype is his best chance of justifying that status. "When I have done that (got involved in trash talk) in the past I have come unstuck," he's admitted. "This time I will let him do the screaming and shouting and just go about my business." At 37, this is a massive occasion for Haye. He still wants to mix it with the likes of Anthony Joshua, Tyson Fury and the other British stars who have suddenly arrived on the heavyweight scene. That has given him a new focus and ambition. Haye understands what is at stake. He needs, as he says himself in his first Betfair column, an explosive victory. I expect him to deliver that and [1.93] for him to win inside the distance in the Method of Victory market looks like the best bet for the night. You sense there has been an unfulfilled ambition ever since that night against Klitschko when his toe injury made life tough but then exposed him to ridicule afterwards. For a man who had unified the Cruiserweight division, and then won a world heavyweight title, that was no way to end a career. He needed to go out with some respect. This gives him that opportunity. The word is that this time Haye has done his recovery and rehabilitation from his Achilles injury properly, and then trained with absolute commitment. He's coming to the fight in peak condition physically and mentally, and if that's the case he should be far too strong for Bellew. To mark David Haye becoming a Betfair Ambassador, we have a huge OddsBoost for Saturday's fight. Haye to win in rounds 7-12 boosted from 10/3 to 9/2. T&Cs apply. Richie Woodhall: Haye has the power but can he catch Bellew?